My book about Swedish Springsteen fans is on it’s way from the printers. The book has it’s own web site where you can order it. So far it’s only available in swedish, but if the response is good, there is a fair chance of an english edition. 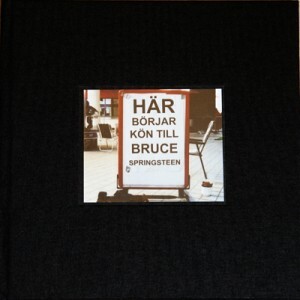 Here you can find the book, just click om “köp” and you will be able to buy the book Hungriga Hjärtan (Hungry Hearts – a book about swedish Springsteen fans). Here’s a picture of the cover. It’s a hardback. The book is 96 pages with a lot of pictures from various Springsteen concerts from the last five years. Don’t forget to check out the web site Hungriga Hjärtan and the Facebookgroup.